Guys, I took a break. I took a vacation where I turned off my email and checked out of all of my work and responsibility and just relaxed. We started our vacation in Southern California and then drove up the Pacific Coast Highway (holy wow) and then spent a second week in Northern California. Then I came home to my own little paradise and spent the week paddle boarding, hanging out with friends, hanging out with my dogs, eating takeout in bed, and (best of all) treating myself to a nice long Thai massage. I had not really considered how burnt out I was- as a teacher, as a writer, as a friend, as a partner- until I took this break. I needed it, and I feel like a new person. So, I’m back! Refreshed and renewed (and with a killer tan). Last night we had some good friends over for a grilled pizza party (followed by cider donuts- it was glutenous gluttony), which was such a lovely way to end my break. 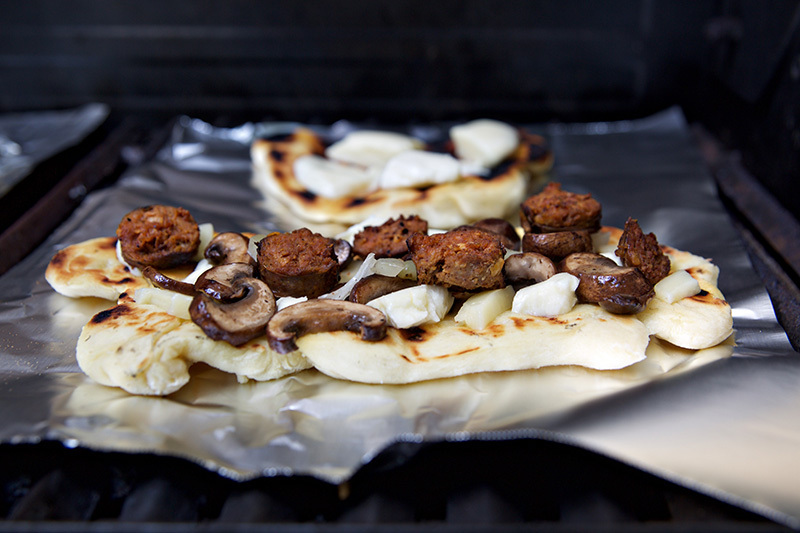 Grill your own pizza parties, like grits bars, are one of my favorite ways to entertain. It’s a totally customizable experience, and everyone gets to pick the toppings that speak to them in that moment. And, if you make enough dough, they get to try a few different options! I like to offer an array of meats, fruits, vegetables, and cheeses. Some are meant to be put on while the dough is cooking (meats, cheeses, mushrooms) and some are meant to be added after the pizza is off the grill (cabbage, sprouts, arugula). Finish with a drizzle of a fancy oil or vinegar and a sprinkle of sea salt and you’ve created a smorgasbord of custom gourmet pizzas. Chop/cook as needed and place in bowls for your guests to serve themselves. Whisk together olive oil, yeast, salt, and water. Whisk until fully incorporated, at least 2 minutes. Add half of the flour and stir with a wooden spoon. Add remaining flour and knead for ten minutes, until the dough feels like a stress ball. 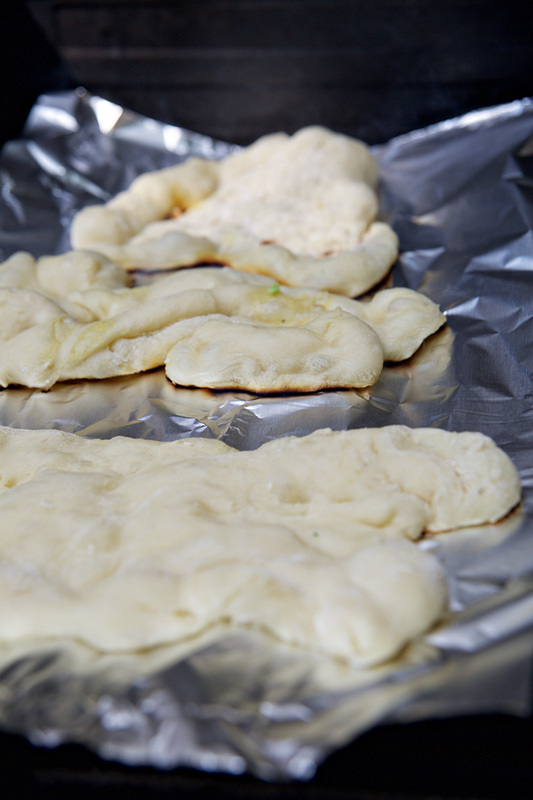 Divide the dough into 8 pieces and roll each piece flat. Heat grill to as hot as you can make it. If your grates are a little gunky or rusted, top your grill with tin foil. Oil and salt one side of each piece of dough and place on the grill. Cook for 4-6 minutes or until golden brown. Pull of the grill and oil and salt the uncooked side. 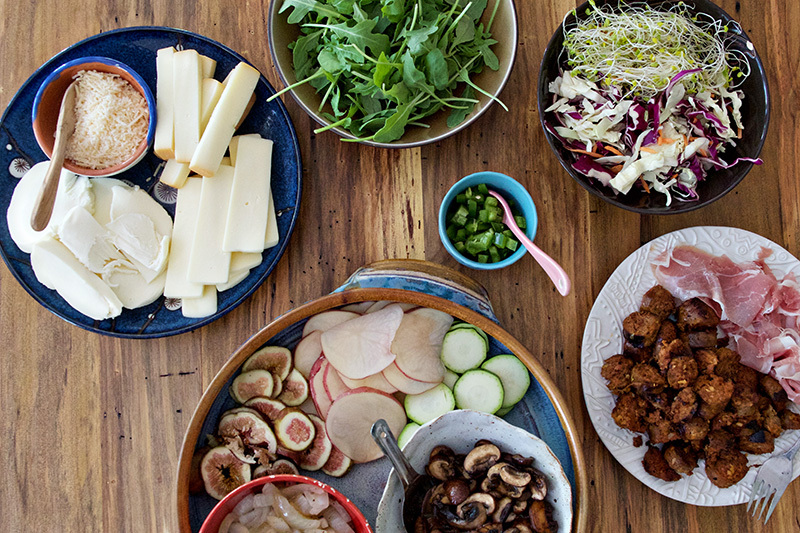 Allow your guests to top the cooked side with all the pre-grill toppings of their choice. Place uncooked side down back on the grill and cook for an additional 4-6 minutes. 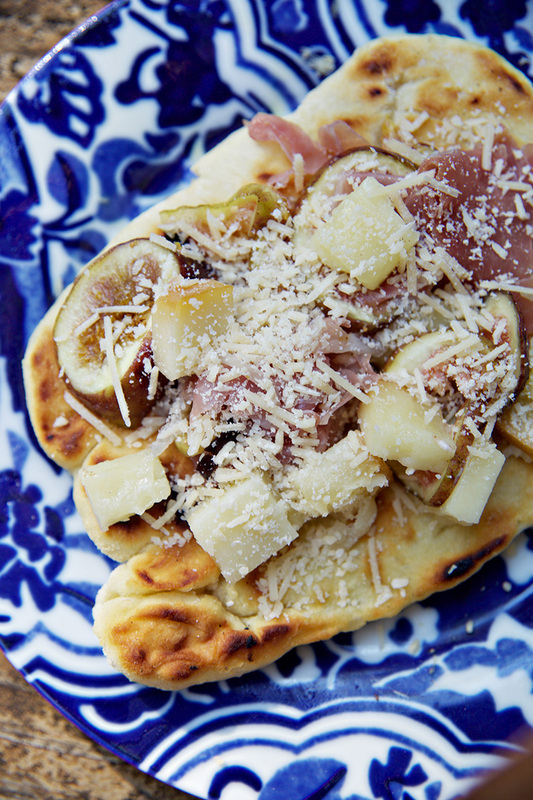 Allow the guests to add their fresh toppings and dig in! Pizza is my favorite, great combos. 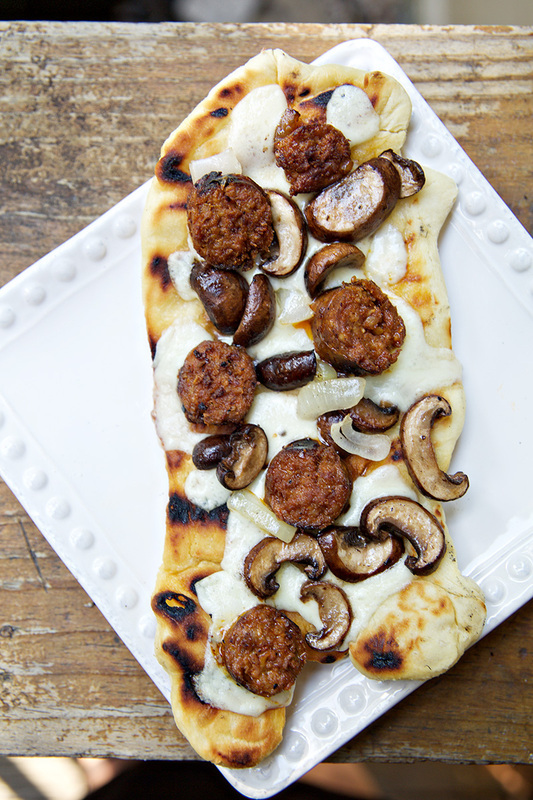 I love grilled pizza and this one looks delicious! I love you used a foil sheet under it too, I haven’t in the past and wished I did. Everyone needs a vacation now and then. These pizzas look fantastic! Whew! This made me want a vacation…and some pizza. I think I can make at least one of those happen soon! Yes please! The perfect summer meal!